Hand Painted example of 7 1/2" diam. 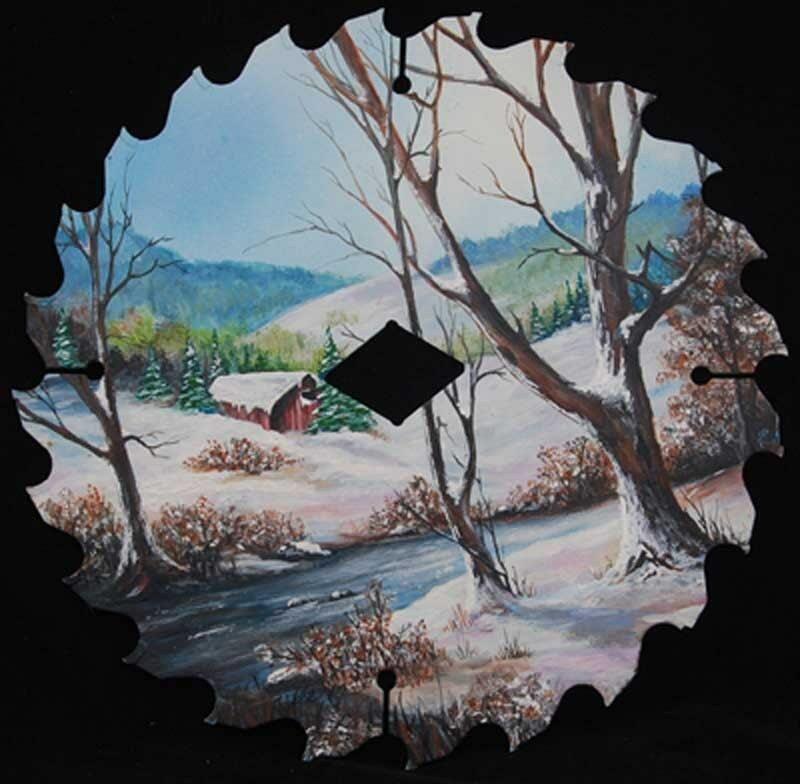 Saw Blade with winter scene. I would be happy to duplicate this or paint some thing specially for you. I just need a picture of what you would like and in a matter of days I could have it done for you to see. I would not ship you a finished product until you ok it with me through emails.